Ever feel out of place while on a garden tour or lost during a discussion with gardening friends? Well, never again! My garden glossary has all the words you’ll need to know (and more) to at least sound like you know what you’re talking about. Acidic: Soil with a pH between 0 and 7.0. Sometimes referred to as "sour" soil by gardeners. Aeration: Any method of loosening soil or compost to allow air to circulate. Aerobic: Describes organisms living or occurring only when oxygen is present. Alkaline Soil: Soil with a pH between 7.0 and 14. Sometimes referred to as "sweet" soil by gardeners. Anaerobic: Describes organisms living or occurring where there is no oxygen. Annual: A plant whose life cycle lasts only one growing season, from seed to blooms to seed. Atrium: An interior area that provides plenty of light for plants, often skylighted. Many homes have built in atriums. Bare Root Stock: A plant that is prepared for packaging and shipping by removing all the soil around its roots. Batch Composting: A single pile is built and composted at one time without adding additional materials. Beneficial Insect: An insect that benefits your garden by eating or laying its eggs in other insects, thereby controlling their population. Biodegradable: Able to decompose or break down through natural bacterial or fungal action. Substances made of organic matter are biodegradable. Biodynamic Farming: Made popular by Austrian philosopher Rudolf Steiner, biodynamic farming combines organic methods, including crop rotation and composting with special plant, animal, and mineral preparations and the rhythmic influences of the sun, moon, planets, and stars. Biological Control: Using living organisms such as beneficial insects or parasites to destroy garden pests. Bio-Solids: The nutrient-rich organic materials resulting from the treatment of sewage sludge. Often found in commercial compost and may contain concentrations of heavy metals. Bolting: A term used to describe a plant that has gone to seed prematurely. Bone Meal: Finely ground fertilizer composed of white or light gray bone that adds phosphorus to the soil. Bordeaux Mixture: A fungicide made of a mixture of hydrated lime and copper sulfate. Botanical Insecticides: Derived from plants, these organic pesticides provide a powerful "knock down" to a large number of pests. They leave no residues and breakdown quickly in the environment. Brassica: A family of cold hardy plants such as broccoli, kale, cabbage, cauliflower, and Brussels sprouts. Bulb: A short, usually round, underground stem that stores energy and food for the plant. Some are fleshy and some have papery coverings. Chelation: A process by which certain micronutrients are treated to keep them readily available to a plant once they are introduced into the soil. Chemical Control: To reduce pest populations by using chemical solutions. Cloche: A low transparent cover put over young plants to protect them from cold. Cloning Gel: A commercial product used to seal, protect and initiate root cell formation in cuttings. C/N Ratio: The ratio of carbon to nitrogen in a compost pile. Microbes thrive in the compost pile when their food source provides a C:N ratio between 15:1 and 30:1 — meaning that for every 15-30 parts of carbon (brown materials), 1 part of nitrogen (green materials) must be added to the pile. Cold Frame: An unheated structure, usually made of wood and covered with glass or plastic. Cold frames are used to protect plants from frost and are helpful season extenders. Cole Crops: Any member of the crucifer family, including cabbage, Brussel sprouts, kale, cauliflower, and broccoli. Compost: Completely decayed organic matter used for conditioning soil. It is dark, odorless and rich in nutrients. Compost Activator: An accelerator that can expedite the natural decomposition process. Their purpose is to increase microbial activity. Corm: The swollen base of a plant’s stem serving the same function as a bulb. Crocus and gladiolus "bulbs" are actually corms. Cotyledon: The first leaves to emerge from a seed, which often store nutrients for the growing seed. Cuttings: A portion of a plant (stem, root or leaf) taken to propagate a new plant. Damping Off: Decay of young seedlings at ground level following fungal attack. Often the result of soil borne diseases and over watering. Dead Heading: The act of removing spent flowers or flower heads for aesthetics, to prolong bloom for up to several weeks or promote re-bloom, or to prevent seeding. Deciduous: A plant that annually sheds its leaves. Decomposition: The breakdown of organic materials into smaller particles by microorganisms. Direct Seeding: To sow a seed (not a seedling) into the ground or container where it will spend its life cycle. Double Digging: A method of preparing the soil by digging down two feet then putting the soil from one row into the next row. Drip Irrigation: A method of watering plants where small tubes or hoses are used to deliver water to the plant’s roots. The water is not sprayed into the air, so the plant’s leaves remain dry, which reduces fungal diseases. Forb: A broad-leafed, herbaceous plant typical of a grassland or meadow, but is not a grass. Frass: Excrement left behind from boring insects. Frost Date: This is the average expected last frost date for your area. Frost dates are important to know for your gardening zone or planting area. Fungal Disease: A large group of fungi that attack plants. Affected plant parts often show signs of mold, rotted tissue, wilting, rusts, scabs and blotches. Fungicides: Compounds used to prevent the spread of fungi in gardens and crops, which can cause serious damage to plants. Germination Rate: The percentage of seed that will germinate under normal growing conditions. Green Manure: A crop that is grown and then incorporated into the soil to increase soil fertility or organic matter content. Usually turned over into the soil a few weeks before new planting begins. Ground Cover: A group of low-lying plants that will spread outward, eventually covering all surrounding bare soil. Growing Medium: The material used to grow a plant or germinate seeds. Growth Bud: A small, raised mark on a stem or branch containing an undeveloped leaf, flower, or shoot. Grub: The larval form of some beetles. Herb: A seed-producing annual, biennial, or perennial that does not develop persistent woody tissue, but dies down at the end of a growing season. Herbicide: A substance used to kill weeds or unwanted plant growth. Humus: A dark, loamy organic material resulting from the decay of plants and animal refuse. Healthy soil will consist of about 3.5-5% of this soft, sweet-smelling and crumbly organic matter. Integrated Pest Management (IPM): A strategy for controlling pests in which least-toxic methods are applied first and usually in combination with other control methods. Larva: The wingless and often wormlike stage of insect development after the egg and before the pupa (cocoon) and adult. Layering: A propagation technique where a portion of a branch or stem is encouraged to grow roots while still attached to a plant, and then removed and planted as a new plant. Lime: Often used to increase pH. Lime is especially useful when added to compost piles made up of acidic materials, such as pine needles. Loam: Fertile soil, usually easy to work, with equal proportions of silt, sand and clay and with a high proportion of humus. Macro-Nutrients: The nutrients identified as absolutely necessary for plant growth. See N-P-K below. Micro-Nutrients: Some mineral elements are needed by plants in very small quantities. If the plants you are growing require specific "trace elements" and they are not getting them through the soil, they must be added. Mulch: Any organic material, such as wood chips, grass clippings, compost, straw, or leaves that is spread over the soil surface (around plants) to hold in moisture and help control weeds. No-Till-Gardening: This type of gardening calls for no cultivation (or tilling) of the soil after the initial tilling. In its place, regular mulches are added and plants are planted through the mulch. This saves on labor and eliminates weeds, which might germinate as a result of tilling. N-P-K: An abbreviation for the three main nutrients that have been identified as absolutely necessary for plants are nitrogen (N), phosphorus (P) and potassium (K). These three are also known as "macronutrients," and are the source of the three numbers commonly found on fertilizer labels. Nutrient Solution: A liquid fertilizer applied to the leaves of plants or as a soil drench. Nymph: An immature stage of development in insects, often similar in appearance to the adult form, but with no developed wings and smaller in size. Open Pollination: Refers to seeds produced from plants which are allowed to pollinate primarily through insects, birds, wind, or other natural mechanisms. The seeds of open-pollinated plants will produce new generations of those plants. This is in contrast with hybrid plants, which are artificially cross-bred varieties that do not produce reliable seed. Organic Gardening: A method and philosophy of gardening in which no chemical fertilizers, pesticides, herbicides, or additives of any kind are used or applied to the soil or plants. Perennial: A plant that grows and flowers for years. They are either evergreens or may die back to the ground but will grow again the following season. Perlite: A volcanic glass that greatly expands under intense heat. Used in gardening for the loosening of compact soil while still having high water retention qualities. Pest: Any organism considered detrimental to a living plant. pH: A scale from 0-14 that explains the degree of acidity or alkalinity of the water or soil. Soil pH is very important because it affects the availability of nutrients to plants and the activity of microorganisms in the soil. Photosynthesis: The process by which green plants use energy from sunlight to produce sugar and oxygen from carbon dioxide and water. Potting Mix: A potting medium consisting of soil, sand, peat, leaf mold, or other ingredients. Propagation: The process of naturally or artificially distributing or spreading plants. Pupa: The stage of development between larva and adult in insects with a complete metamorphosis. Rhizome: A fleshy underground stem or runner. Creeping grasses spread by rhizomes. Season Extender: Any technique or piece of equipment used to extend the growing season in both spring and fall. 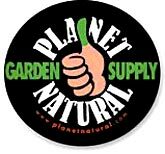 Examples include; row covers, greenhouses, hotbeds, cold frames, and products such as Wall O’ Waters. Seed: The part of a plant produced by a flower that may grow into a new plant. Sheet Composting: Spreading undecomposed organic matter over the soil’s surface, then working it into the soil to decompose. Sheet composting is done at the end of the gardening season because the materials need time to break down in the soil. Soil Amendment: Material added to the soil to improve its properties. This may include; water retention, permeability, water infiltration, drainage, aeration and structure. Soil amendments are mostly organic matter or very slow release minerals and are typically worked into the topsoil. Soil-less Mix: A light-weight medium for growing plants in containers. Usually includes combinations of ingredients such as peat moss, composted pine bark, sand, perlite, or vermiculite. Does not contain soil. Soil Test: A measurement of the major nutrients (nitrogen, phosphorous, and potassium) and pH levels in the soil. Spice: A dried root, seed, fruit, bark or other vegetative substance applied in nutritionally insignificant quantities as food additives for the purpose of flavor. Succulent: A fleshy plant that holds water in its stems or leaves, such as aloe or cacti. Sucker: A shoot that sprouts from the roots or trunk of a tree, shrub or bush and drains its energy. Tilth: Describes the general health of the soil including a balance of nutrients, water, and air. Soil that is healthy and has good physical qualities is in good tilth. Topdressing: Applying fertilizers or some kind of soil amendment after seeding, transplanting or once the crop has been established. Transplanting: The moving of a plant from one growth medium to another. True Leaves: The first leaves grown by a plant after the cotyledons. Tuber: A swollen portion of an under ground stem from which new plants may form. Vermicomposting: The use of red worms to convert food scraps or other organic materials into worm castings. Vermiculite: A natural mineral that expands with the application of heat, it is typically used in gardening as an additive to potting soil to increase its aeration. Weed: A plant that is growing where you don’t want it to grow. Worm Casting: The digested organic waste of red worms. 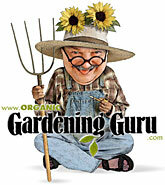 Gardeners consider them the most nutrient dense organic compost available. Xeriscaping: To create a low maintenance landscape with native plants and small or non-existent areas of turf grass. One of the primary goals of xeriscaping is to reduce landscape water use.